Jennifer Robinson told Sky News on Sunday that Ecuador was making “pretty outrageous allegations” to justify allowing British police into its embassy on Thursday in order to take Assange into custody. Tensions between the embassy and Assange arose in recent years, with Ecuadorian President Lenin Moreno saying that Assange had “repeatedly violated” the terms of his asylum in the Andean nation’s embassy, including hacking private phones and accounts. Ecuador’s Interior Minister Maria Paula Romo last week said Assange had been physically harassing his caretakers at the embassy, and had even smeared his own faecal matter on the walls of the diplomatic mission. 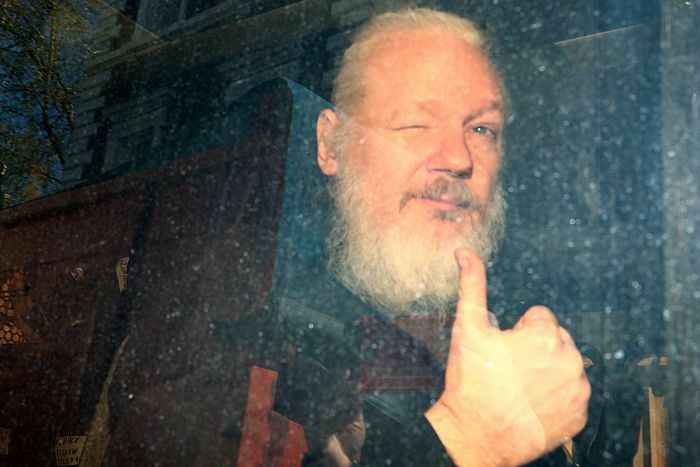 Ms Robinson denied Assange violated the terms of his asylum, saying her client had experienced “a very difficult time” since Mr Moreno came to power in 2017. Mr Moreno withdrew Assange’s political asylum this week, opening the way for his seizure by British police. Ms Robinson said it was clear the US’s case against her client was politically motivated. “He’s embarrassed the US military industrial complex, he’s embarrassed the CIA,” she said. “We’ve had the director of the CIA call him a ‘hostile non-state intelligence agency’, and in saying that he ought to be prosecuted: ‘we want to take WikiLeaks down and he ought not benefit from First Amendment protections’. If Sweden does seek Assange’s extradition again, several British lawmakers have urged the Government to prioritize the Swedish request over that of the US.